This website is primarily in my voice, so let me tell you a bit about my background. I was an “underachiever” when I was growing up in a blue-collar neighborhood in New York City in the 1950s and 1960s. This is not just my opinion; many teachers from third grade on were very adamant about it. I was much too smart to bother with school. I was first was introduced to Zen as an adolescent in New York City reading Kerouac and the beat poets. I had no idea what Zen was about other than it seemed to have a kind of radical freedom and creativity. I started adult life as a hippie living on a commune looking for that freedom and creativity. Reality set in as it is wont to do, and the commune needed money and so I needed a job at one point. Being an orderly cleaning up misplaced bodily fluids and feeding sick people in a hospital in rural Tennessee in 1974 seemed to be a “Zen” thing to do. It was. An older African American orderly and an old school Southern surgeon both mentored me; their mentoring consisted of urging me to go back to school and do something else besides being an orderly! Taking their advice I became a physician’s assistant. Then I got tired of working for doctors so I became one. Now a Professor of Health Sciences at the Jules Stein Eye Institute at the University of California, Los Angeles, I am a specialist in inflammatory diseases of the eye and a medical scientist. I really got into it! Professionally and academically I may be a late bloomer, but I definitely am not as far as family is concerned. My wife and I had children while we were barely out of adolescence ourselves. I was 22 and my wife 21 when we had our first of two children on the commune. Despite that we beat the odds. We have been married for over 40 years and my two children and grandchildren still speak to me, except the youngest grandchild, who doesn’t talk to anybody yet. My daughter has been a kindergarten teacher for 10 years in an inner city school in South Central LA (aka “the hood”, or rather, one of several “the hoods”). She is great with her students and she is a great mother. My son is a glass craftsman by trade, a martial artist, and a family man. As an intellectual provocateur, he even had a hand in my return to Zen. 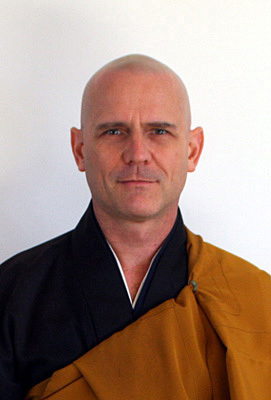 My formal Zen practice started in 2009 at the Hazy Moon Zen Center in Los Angeles with Nyogen Roshi. I write as a student of Zen with a scientific background and sensibility; I am not a Zen teacher, but I practice sincerely and I would like to share that experience. I have teamed up with Kelly (Doman) Stevens despite the fact that his parents told him to stay away from hippies. He was first introduced to Buddhism while obtaining his Masters degree in philosophy at the University of California, Riverside. He has some of that Zen gravitas, though he also says that he writes as a Zen student. Doman has been practicing Zen for over 25 years, first under Maezumi Roshi and now, like me, under Nyogen Roshi. 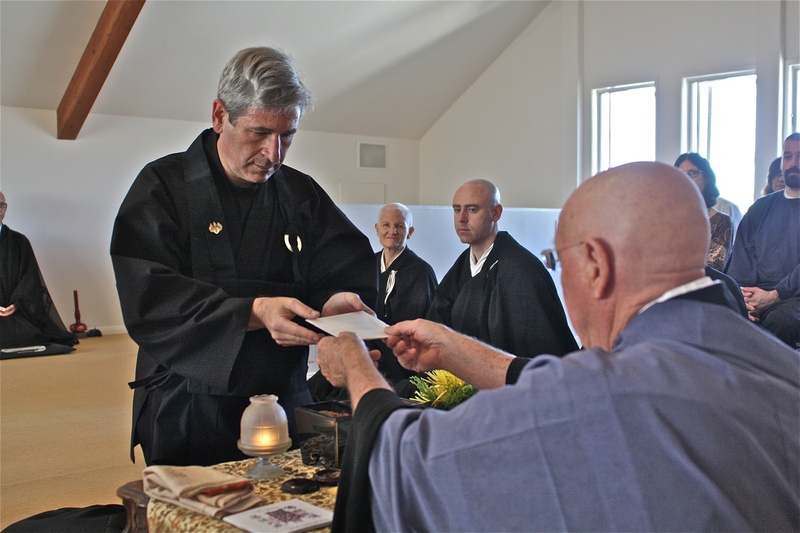 Doman is sensei (teacher) at the Hazy Moon Zen Center of Los Angeles and is an ordained Soto Zen priest and Denkai Dharma holder. if my liberty has been too great, please let me know, and of course I will take it down, off my blog, immediately. I like your site! Well, somebody helping me found that calligraphy and so I honestly am not sure where it is form. Hopefully nobody will mind that we both used it. 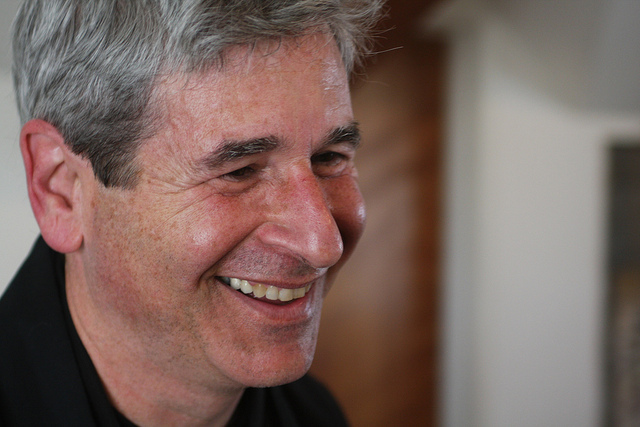 Excellent site…some interesting common threads between Buddhist thought and Biocentrism..